On 20 May the Venezuelan people are called to vote for the presidential elections. Once again, the homeland of Bolívar and Chávez is called to support the revolutionary process with mobilization and to confirm its willingness to build a socialist society. The permanent economic war unleashed by US imperialism and its allies against the government of President Nicolás Maduro continues to seriously damage the living conditions of the Venezuelans, without however succeeding in extinguishing their determination. Attempts to isolate the Bolivarian government on the international stage continue to fail thanks to the trust and the support that Chavism has been attracting among revolutionaries, progressists and sincere democrats all over the world. The socialist transformation of Venezuelan society is the only way to guarantee Venezuela a dynamic and productive economic and social system, independent and capable of responding to the deep aspirations of workers and workers. Only socialism can consolidate and extend the institutions of Bolivarian participative democracy as a condition for guaranteeing the full development of popular power. The government of President Maduro, in the difficult years following the physical death of Commander Chávez, has assumed the task of carrying out this strategic choice. The Revolution has made Venezuela a protagonist of the history of the twenty-first century and a hope for the whole humanity stifled by the economic crisis, authoritarianism and the generalization of war caused by capitalism. The strengthening of the Revolution and the construction of a socialist society in Venezuela are now more than ever of a strategic importance for the liberation struggle of working classes all over the world. 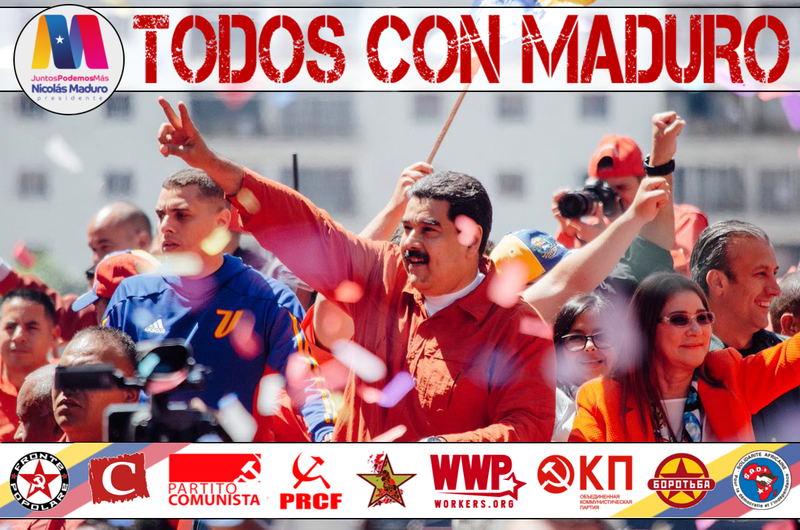 Convinced of all this, we address to the United Socialist Party of Venezuela, the Communist Party of Venezuela and their allies our fraternal greeting and we express our full support to President Maduro for the electoral dispute that, we are sure, will see him victorious. We confirm our full support for the Bolivarian Revolution and from now on we commit ourselves to renew our solidarity in the struggle against any attempt, internal or external, to disavow the free and sovereign expression of the Bolivarian people.